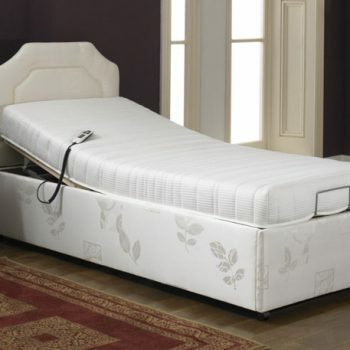 The Prestige Ambience adjustable pocket sprung beds are our most popular models. 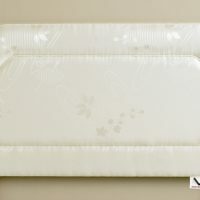 The 8" pocket sprung mattress in the 3' model has over 450 individually nested springs. 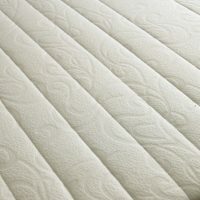 Layers of non allergic fillings are bound closely together and air vents ensure that air is circulated in the mattress. 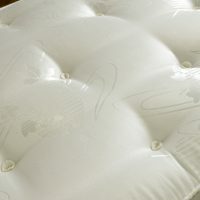 This mattress is designed to give the optimum level of support whilst sleeping. Electric adjustable bases are available in a range of sizes from 2'3" to 6'. A manual version is available in the 3' size only. The unique adjustable base gives custom support and is operated by a user friendly handset. The standard motor supports up to 18 stones and a heavy duty motor supporting up to 22 stones can be supplied at extra cost. 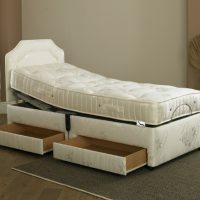 All beds meet the required European and British fire standards.